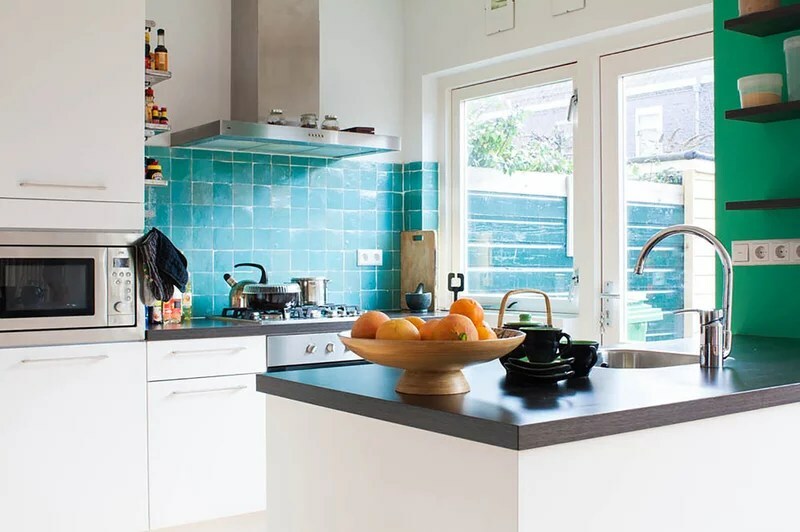 A distinct backsplash can bring so much to a kitchen. 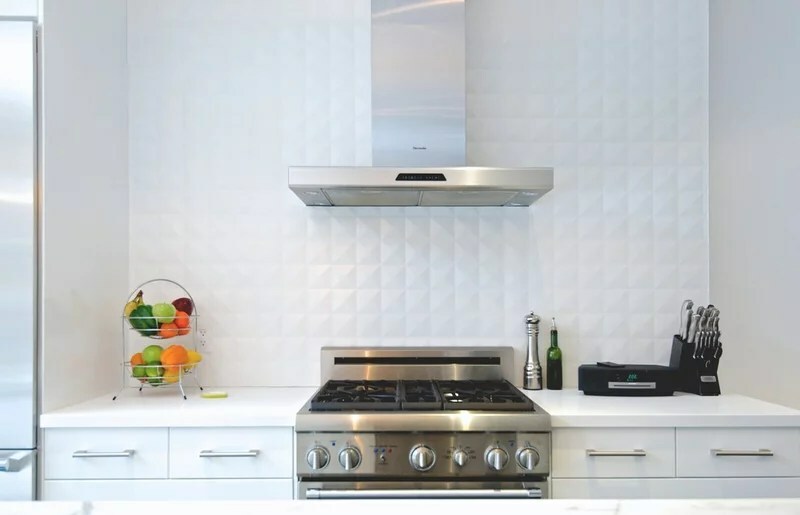 In addition to its primary function of protecting a wall from kitchen splatters, a backsplash can reinforce a great focal point; add an interesting texture, color or pattern to a minimalist design, and show the character and handiwork of creative homeowners and artisans. 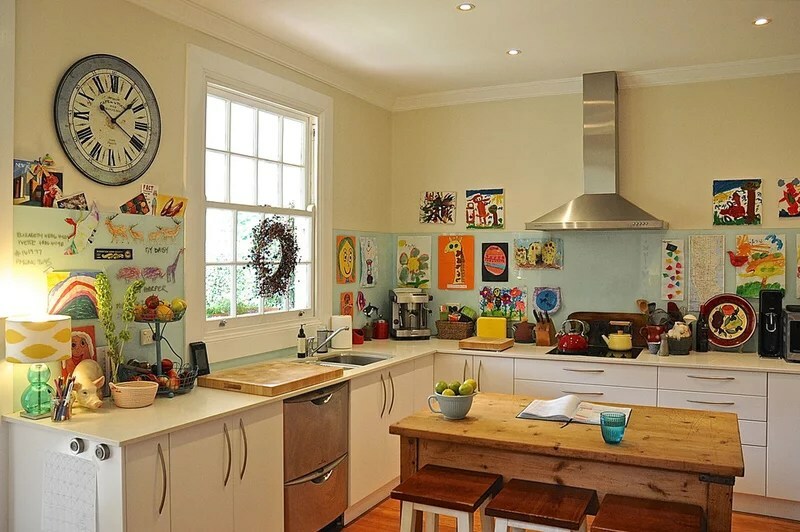 Here are 15 great examples from our My Houzz series. Pickup-truck style in the basement. 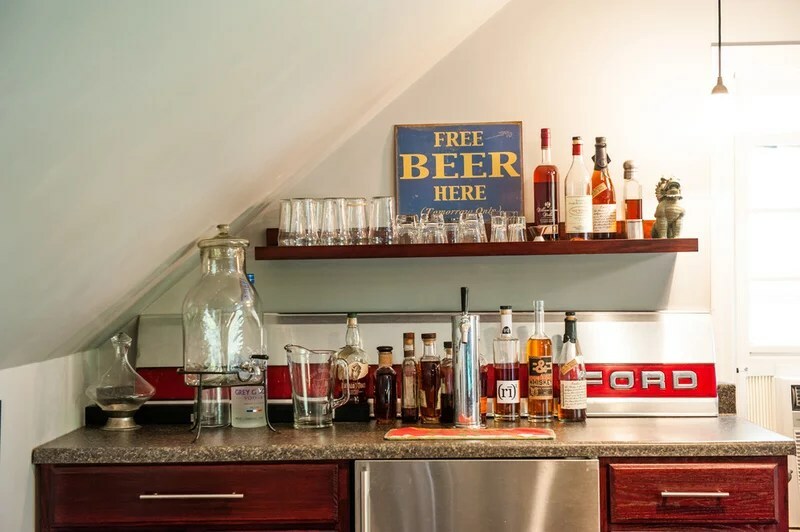 Most of Cheryl and Nick Grant’s Boston-area saltbox house has sophisticated transitional style, but its man cave is a place for getting a little rowdy. 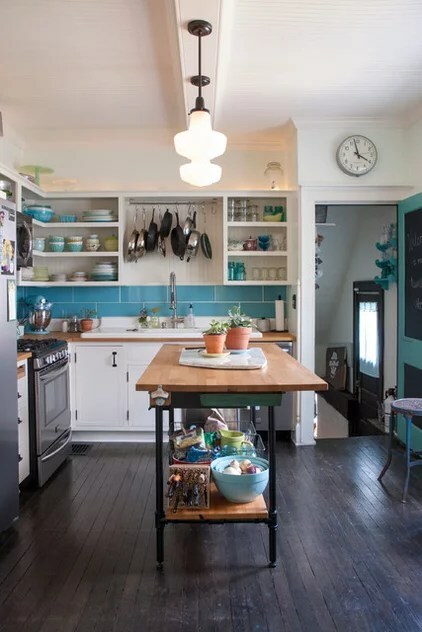 Accordingly, the backsplash is made of a flea market Ford pickup-truck panel. 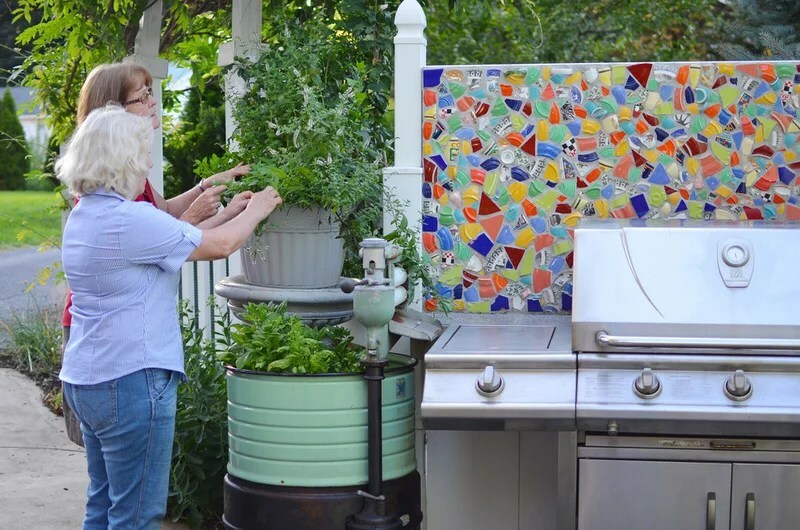 Even a grill can use a backsplash sometimes. 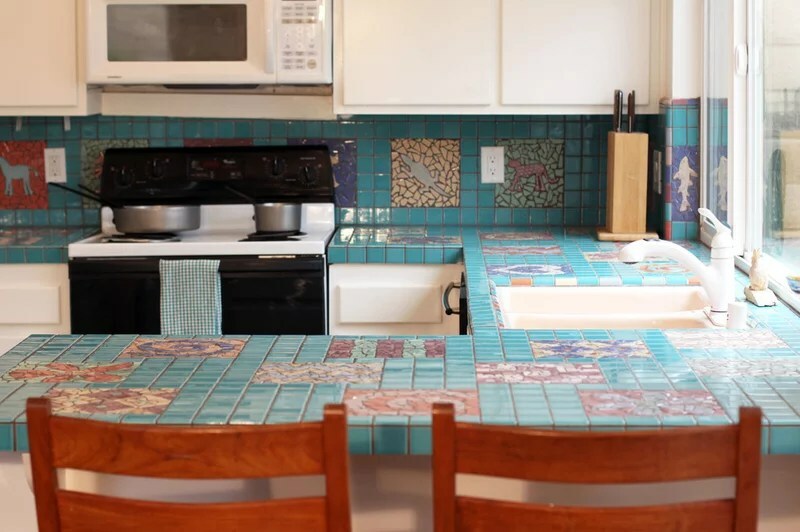 Terry and Jo Vaughan crafted a unique and colorful mosaic backsplash from broken Fiestaware and other ceramic fragments. Little handles jut out of the mosaic, begging to be touched. The grill sits outside their abode, a former pretzel factory in Hummelstown, Pennsylvania. Tying it all together in Newfoundland. 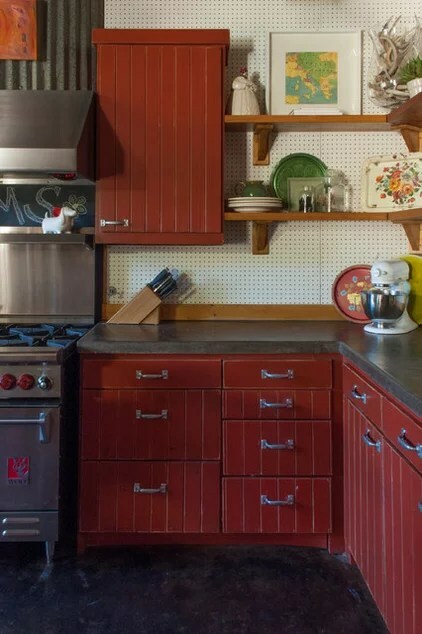 In the home of woodworker Jeff Parsons and his wife, Ellie Brennan, a ceramic mosaic tile backsplash accented with a red-brown glass band picks up on all the colors elsewhere in their stunning kitchen. Balancing the budget. 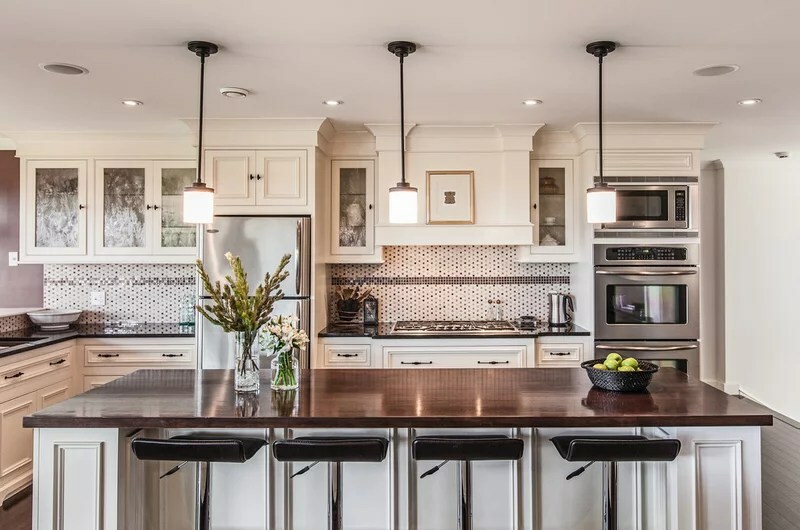 Steve and Meg Gardner made careful decisions about where to splurge and where to save in their Toronto kitchen. 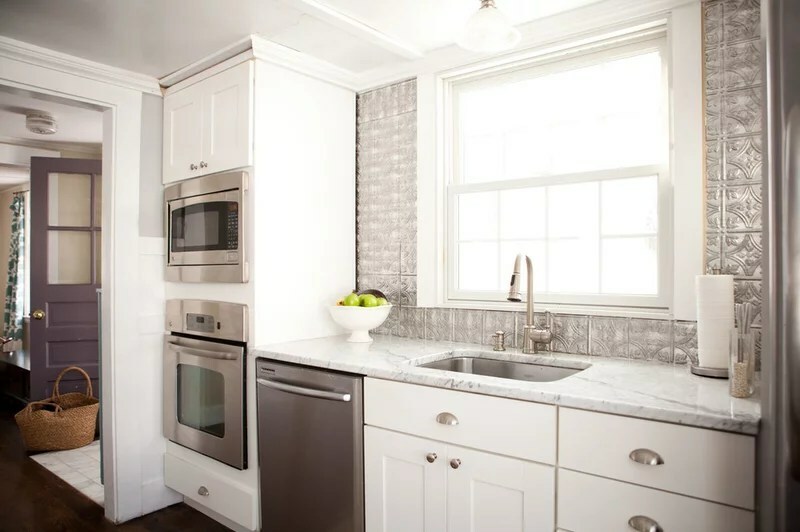 Ikea cabinets get a lift from marble and Ceasarstone cabinetry, and 3D tiles draw the eye to the backsplash. 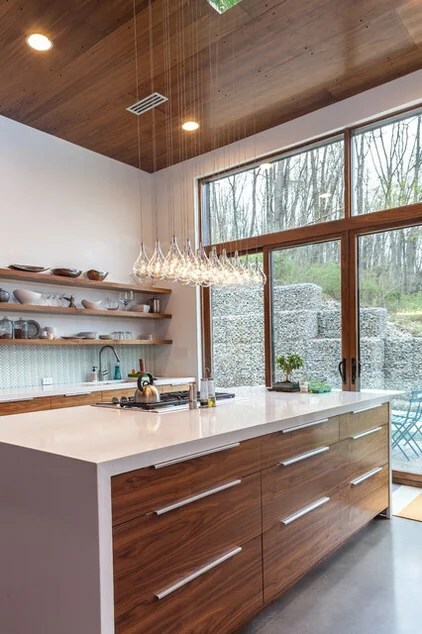 The white keeps the backsplash from overwhelming the minimalist space. Maximizing style in a minimalist space. 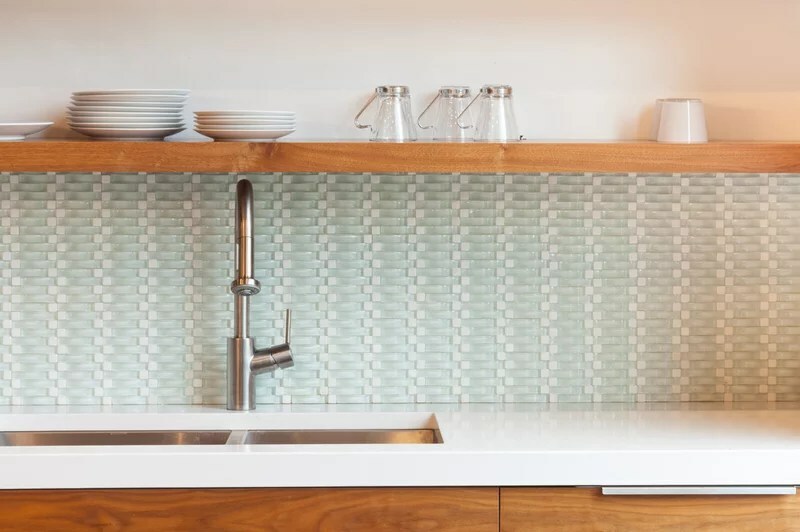 In minimalist homes, especially those with a very limited material palette, the backsplash packs a huge design punch. 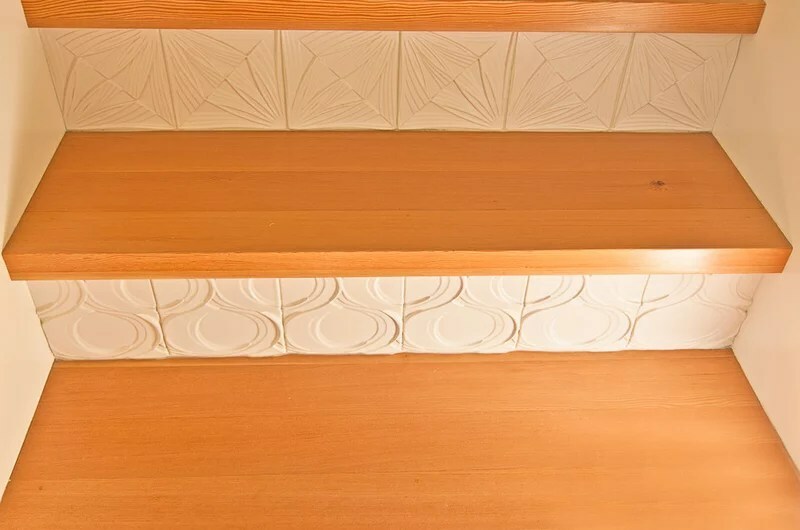 In Gino and Mali Torriero’s modernist home in Pennsylvania, a unique glass basket-weave tile stuns. Up close you can see the intricate, subtle pattern. 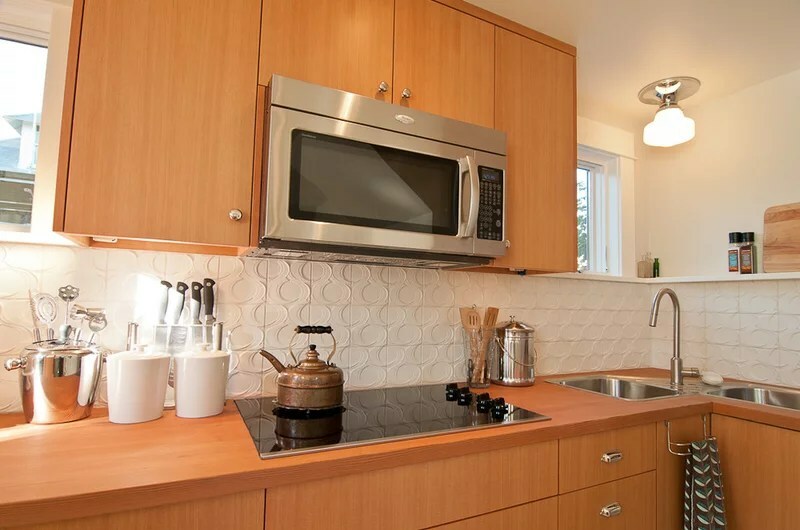 The backsplash provides the only man-made pattern in sight here. 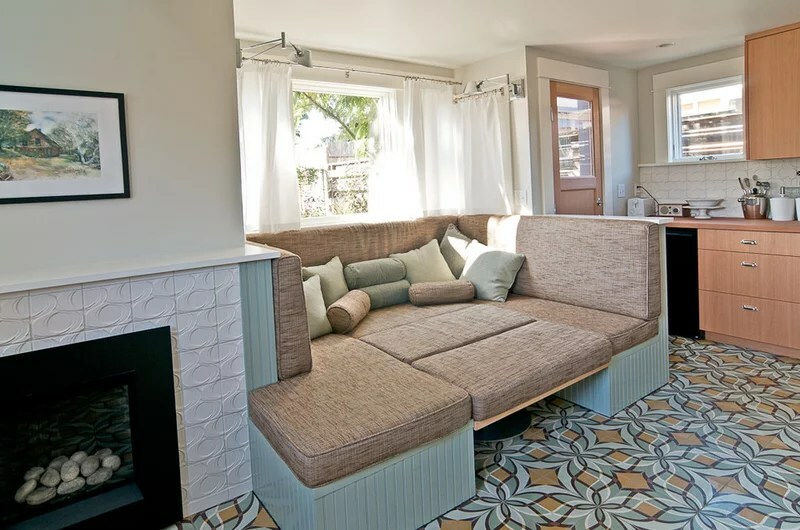 The rest are seen in larger-scale wood grain and concrete.A lot of us clamored for the source of this tile after a feature about the house appeared on the Houzz homepage. The homeowners obtained it through an Amazon seller, MC Glass, which still has similar tiles in stock. Reflection in Manchester-by-the-Sea. 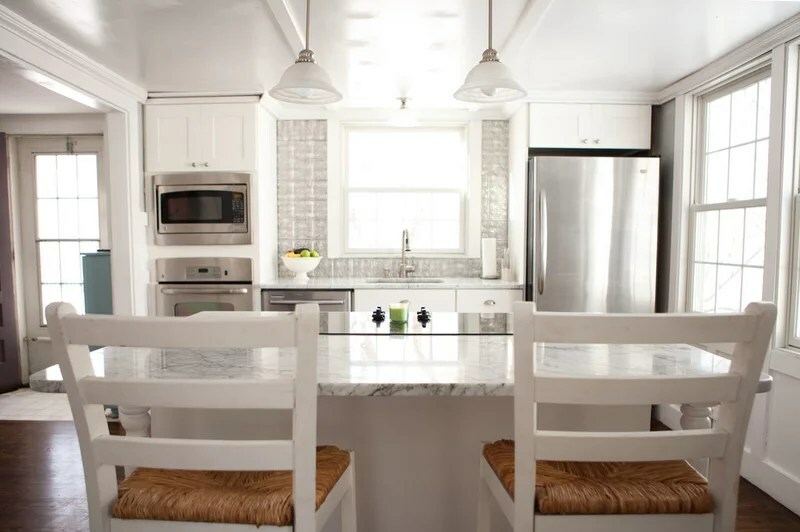 Faux pressed-tin tiles add a splash of silver to the kitchen walls in Jen and AJ Migonis’ Massachusetts home. 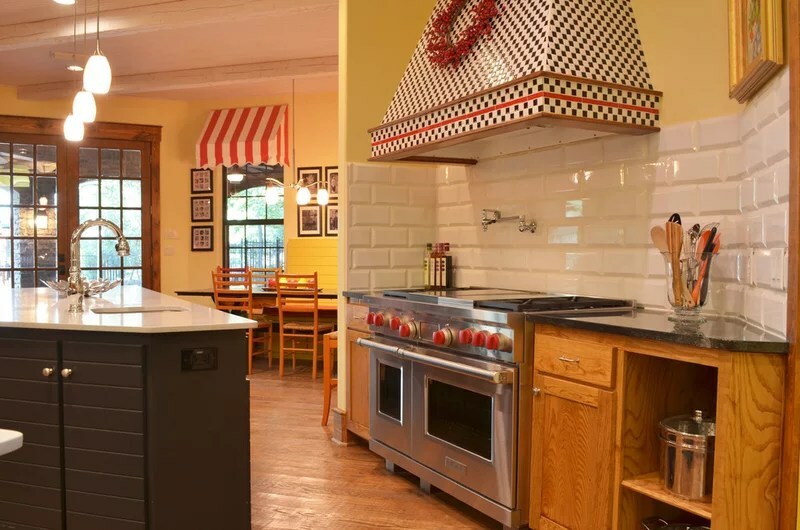 The pattern and style add a throwback touch, while the finish ties in with the modern stainless steel appliances. Back to the basics in Santa Cruz. 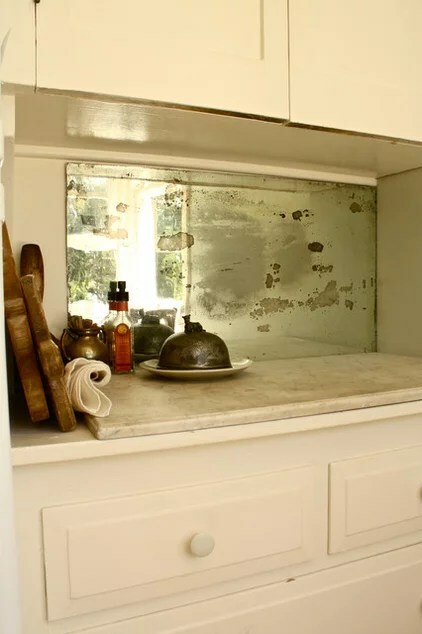 California homeowner Scarlett Fiona Reed wasn’t wild about the modern granite backsplash with her more primitive kitchen aesthetic, so she simply covered it up with linen. Equestrian-inspired in Oregon. 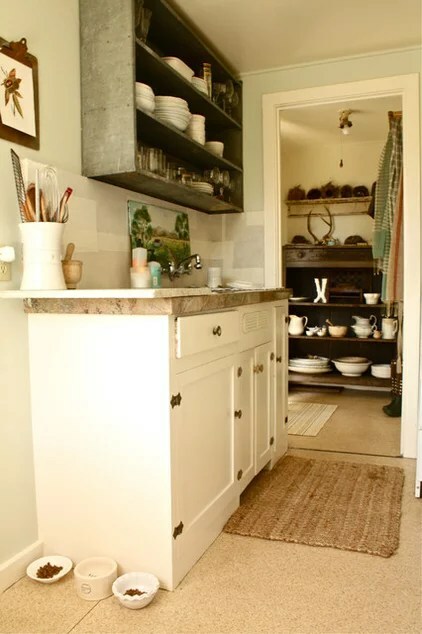 A range of rustic textures gives horse lover Marian Weidow’s Portland kitchen casual character. However, the execution is elegant, like the design you’d see in a beautiful stable. 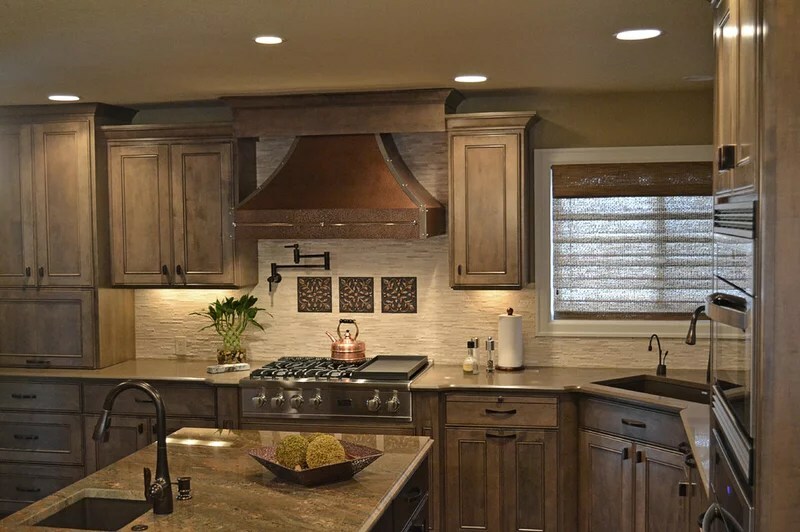 The roughness of the stone backsplash keeps its creamy white tones from being too stark. 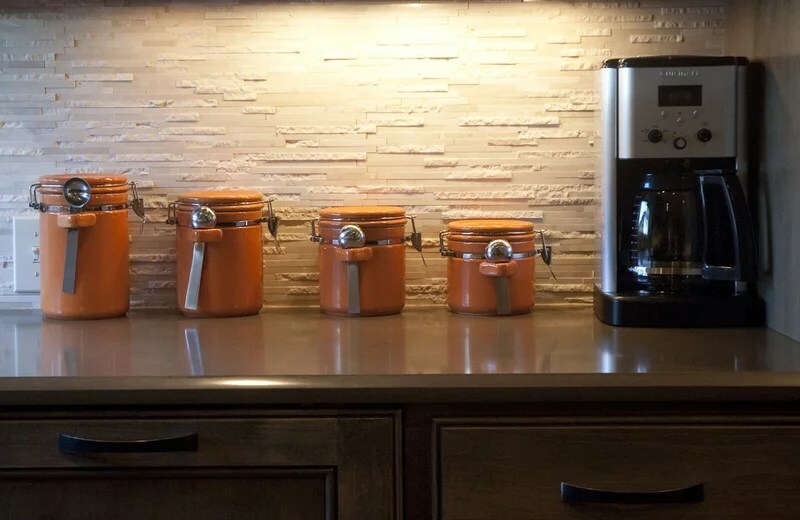 Meanwhile, copper artisan tiles play off the vent hood and reinforce the area as a focal point.